As we did with the guitars, we created a list of classic and popular models currently available on the market. Then the very active Audiofanzine community of bass players put themselves to the task. You will surely find something you like among the 23 models chosen, too. But before we begin, we would like to thank particularly Doktor Sven for his help and his wise advice. There was no much of a battle. That's the first insight we can gain from the poll in the quest for the community's favorite electric bass. 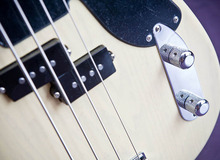 In fact,, only two models really stand out, the indispensable Fender Jazz Bass and Fender Precision Bass. While the JB lands the top spot with 31% of the votes, the PB is not too far behind (28%), although the difference is large enough to leave no room for doubts. Between both of them, Fender gets 59% of the votes. A landslide victory! So, as you can see the rest of the models in the list didn't do that good... But there's one model that does significantly better than the rest: the Musicman Stingray (11%), which we must admit has a special place in the history of bass guitar and can easily be considered legendary. And it's no surprise to find the Rickenbacker 4003 (5%) and 4001 (3%) right behind it, since both of them have, in their own way, also marked music. The percentage of votes received by the rest are almost insignificant, but the Ibanez SR (3%) and Yamaha TRB (2%) do stand out a bit, just like the Gibson Thunderbird (2%), as well as Warwick's famous Streamer (2%). 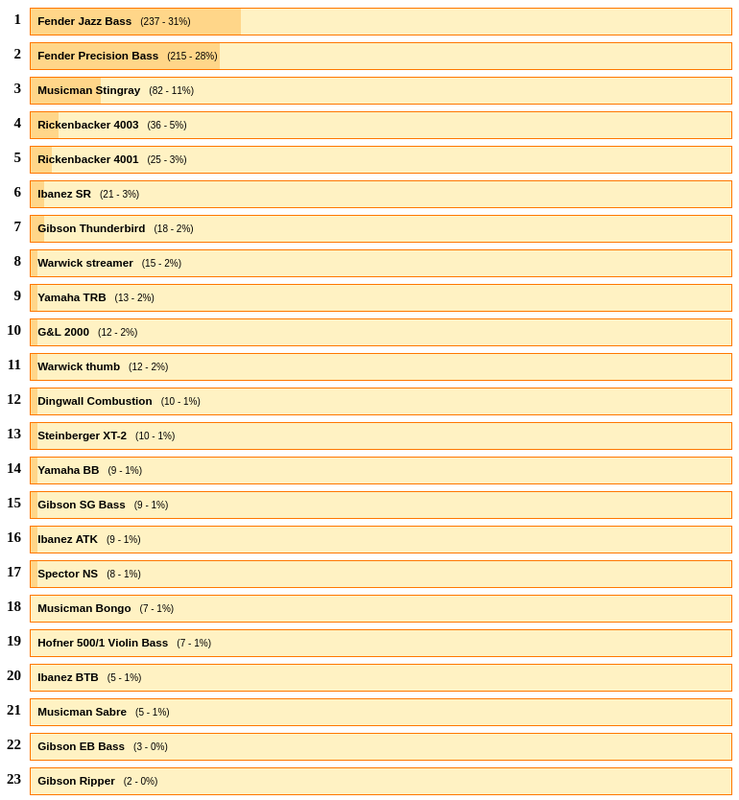 At the end of the day, it's hard to make anything from the poll, except the clear dominance of the two Fenders. It's not unusual for musicians to discuss the overrepresentation of certain models in the guitar world, but when it comes to the bass world, it seems obvious that there is a true problem of diversity (at least according to our poll).